I have had the same ugly, boring, bulky, black camera bag for the past 5 years. Now I change my camera bag as often as I change my purse! About 4 months ago the hook that attached the shoulder strap to my old camera bag broke. My plan was to make a camera bag insert and place it in an old purse I had. Then I realized that the padded insert came out of my camera bag (approx 10"x7"x6"). Now I just stick the insert in whatever bag suits my needs for the day. 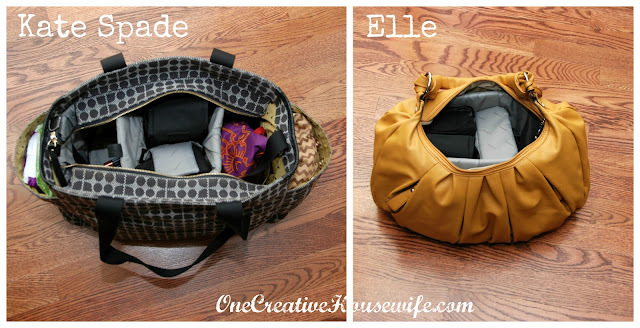 My two favorite bags to use it in are my Kate Spade diaper bag (approx. 18"x11"x8") , and an Elle mustard colored bag that I purchased on clearance from Kohl's (approx. 15"x9"x7"). The great thing about the Kate Spade bag, is that it holds all the extra stuff I lug along for my kids plus keeps my camera safe. I love carrying the Elle because it is smaller and cuter. It has just enough room for my camera and my essentials. I have placed the insert in many other purses, but these just happen to be my favorite ones because of their ease of use. Plus these purses zip close which I consider a must when carrying my camera, just in case it rains or something spills on the bag. 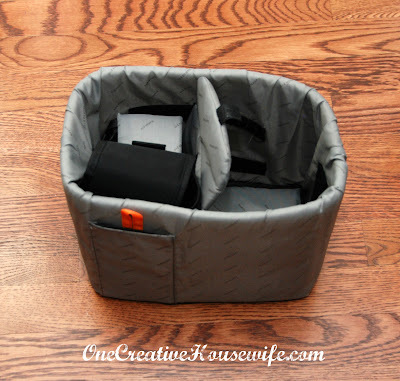 This was a great solution to my camera bag problem since I already had everything. No cost for me....Yay! 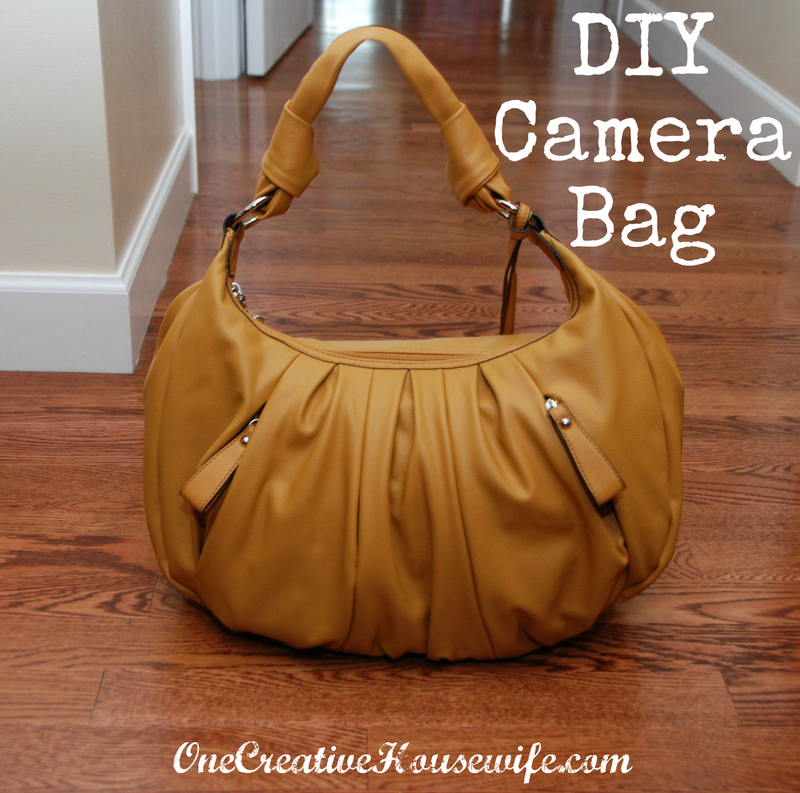 It would also be a great solution for someone who finds an ugly camera bag with a removable insert for free or cheap. 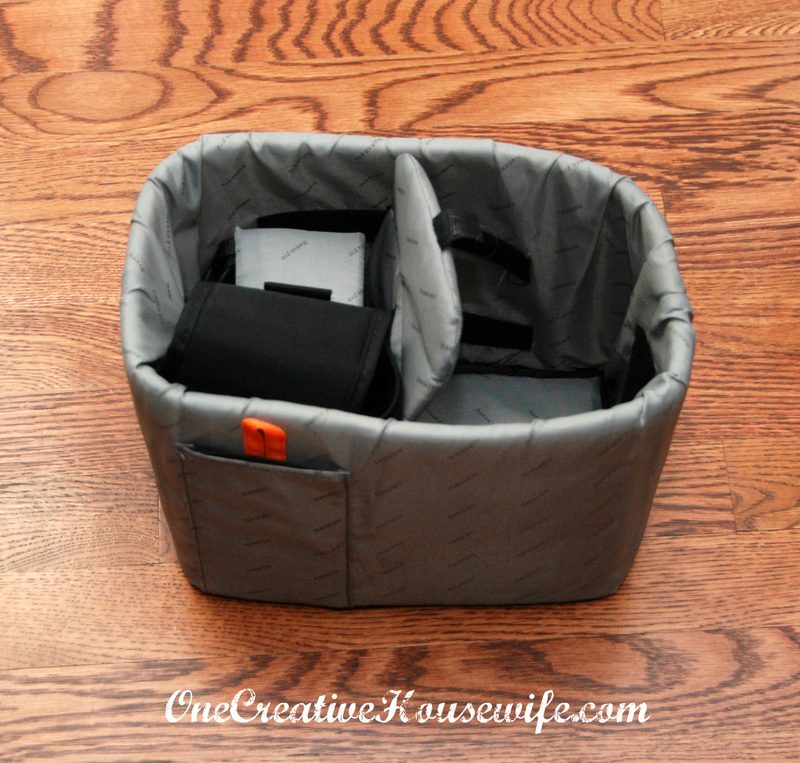 If you can't find an insert to use, you can always make your own, like Ashley from Make It and Love It. My recommendation for making one on your own, is to make it a size that will fit in many of your bags. That way you can keep it fun and change your bag when you want.